» Here is a visual guide prepared by the National Honor Society about how a student can become an NHS member. As your school begins the process to apply to become an affiliate of the National Honor Society, there are a few things to consider and prepare before beginning the official application. Review the National Honor Society Constitution and make sure your school is willing to comply with it. 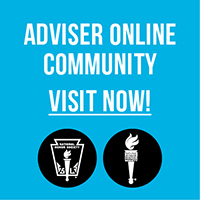 Select a chapter adviser. This faculty member will supervise the chapter—its operation, files, and other duties. Appoint a five-member faculty council. The council meets at least once a year to select new NHS members and review and revise chapter procedures. The annual fee is $385. All private, nonpublic schools must prove accreditation by an accrediting organization on this list or by the state departments of education (only those that accredit nonpublic schools). Current accreditation verification must accompany this application. Chapter bylaws, including determining membership criteria and an outline for completing service projects. Selection procedures, including choosing an induction date for new members. You’ll need to publish selection procedures and make it available. Chapter service projects, meetings, and other activities to build and support an active chapter at your school. Discipline and dismissal procedures. Begin with policies found in the NHS Handbook and National Constitution. As you await approval, we encourage you to browse this website and become more familiar with the nation’s best known and most respected student recognition program. You can also follow NHS on Facebook, Twitter, and Instagram.